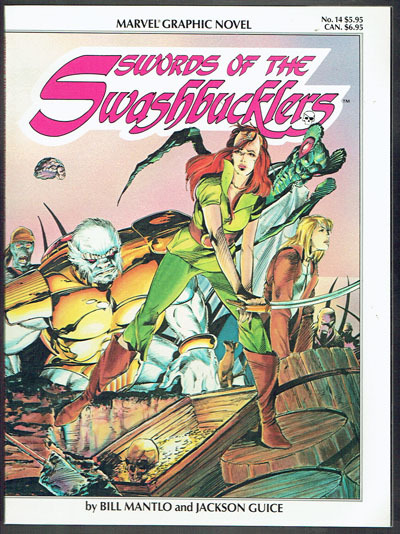 Swords of the Swashbucklers by Bill Mantlo and Jackson Guice. Tiniest wear bottom corner spine. Very faint indentation bottom right corner FC. Nicest copy I've ever seen in person!